Unstoppable produced "trading cards" for various media properties, including Gerry Anderson's Thunderbirds and UFO . 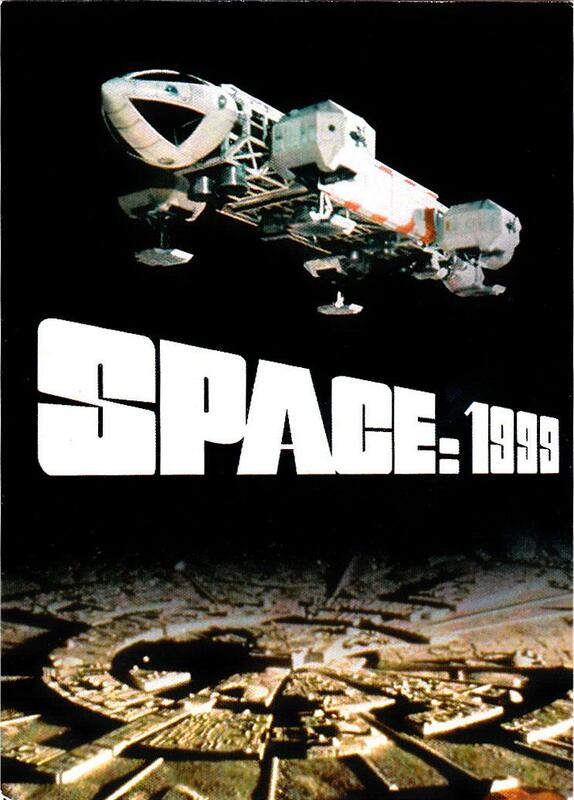 The Space: 1999 set was first announced for November 2015; repeated delays pushed it back to end of May 2016, finally slipping to 3 June (although nothing shipped until 10 June). 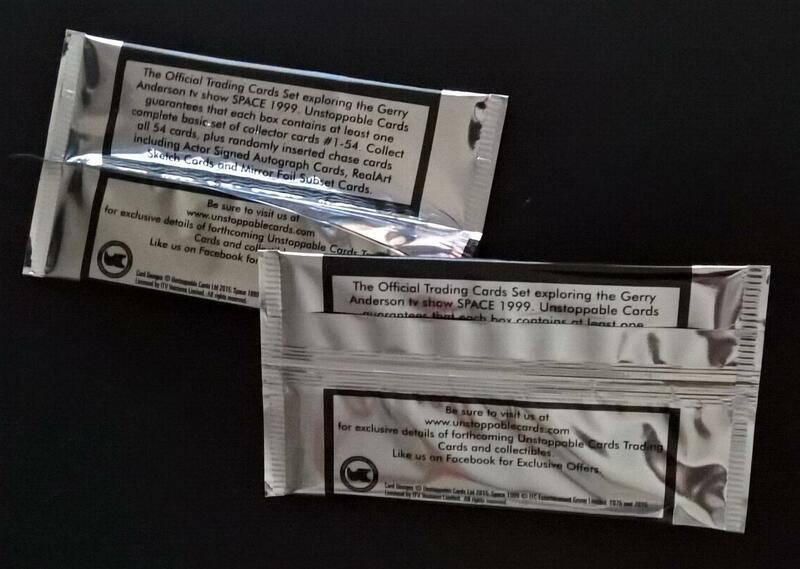 Each card was 88mm x 63mm (3.5 x 2.5 inches). 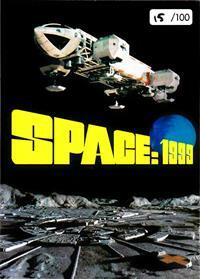 All the photos had previously been seen, for instance on the Network Blu-rays. 150 pairs of "Print Plates", printing plates for cards. 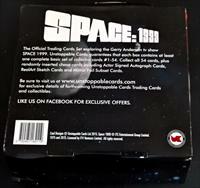 Also available via dealers are "proof sets" of the base and foil cards. These are the initial print runs. They are marketed as rare limited editions, although if the proof is accepted they should be identical to the standard print run. Autograph cards. 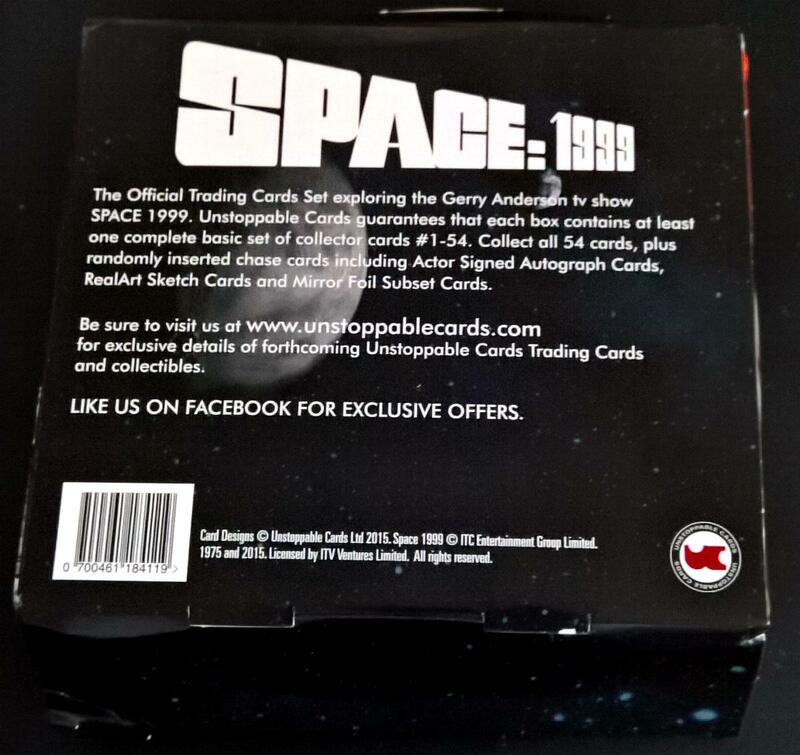 29 different autograph cards, about 2 cards per box. "hand drawn RareArt Sketch Cards" Each card is a unique piece of artwork. 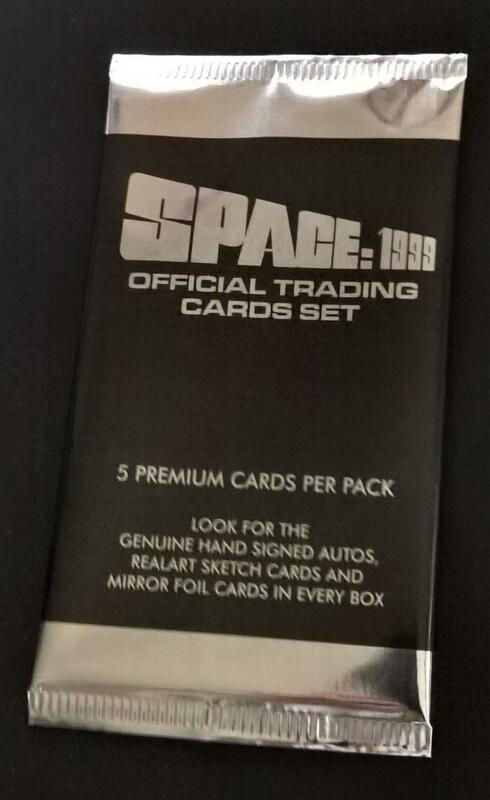 Half of the boxes may contain 1 sketch card. 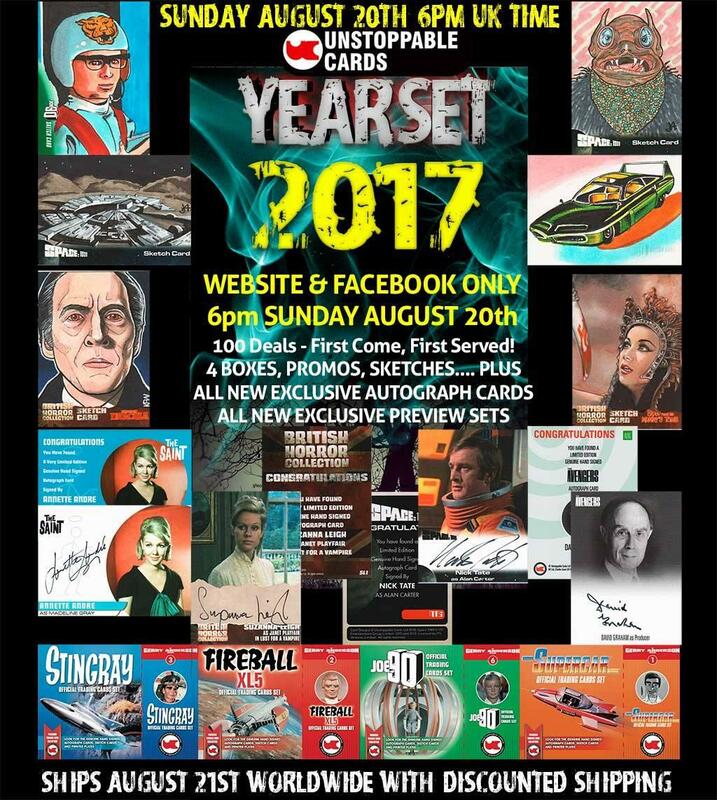 There are some "Actor Signed sketch cards"
double-sized "box topper" cards. 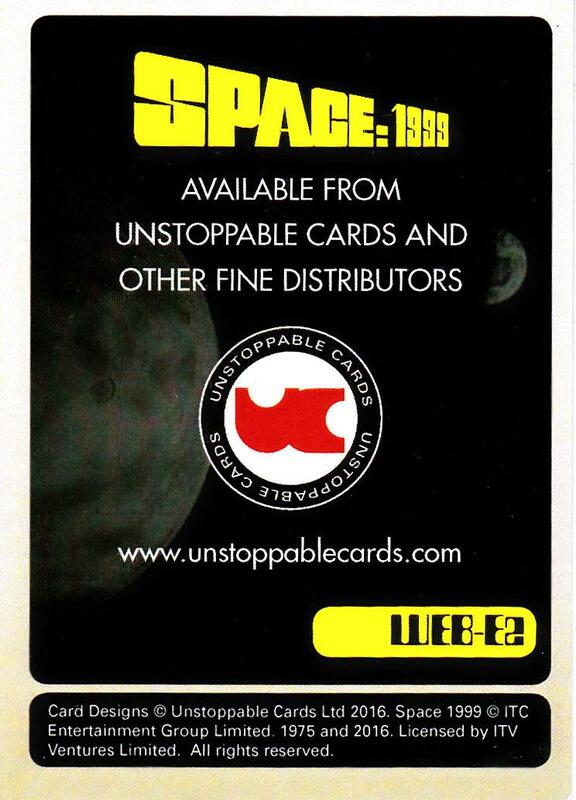 An Unstoppable advert promised one per box; none seem to have been released. 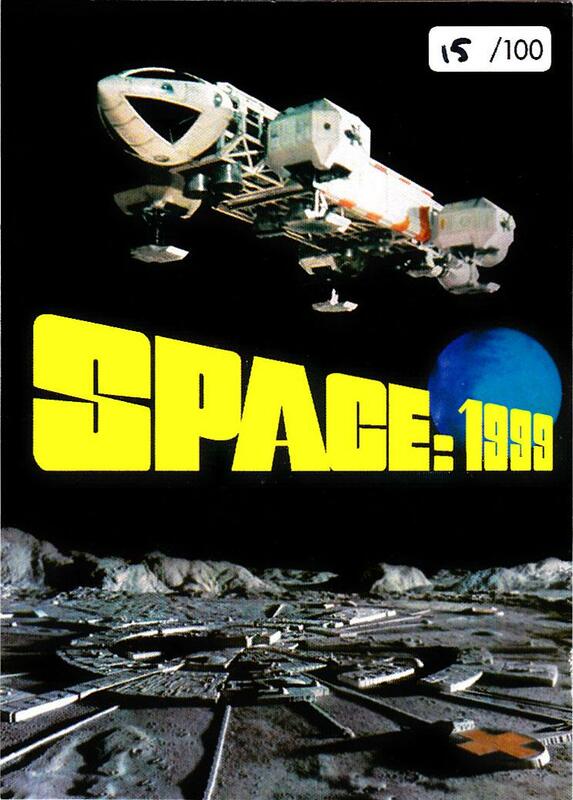 Early promotional cards released prior to the release. 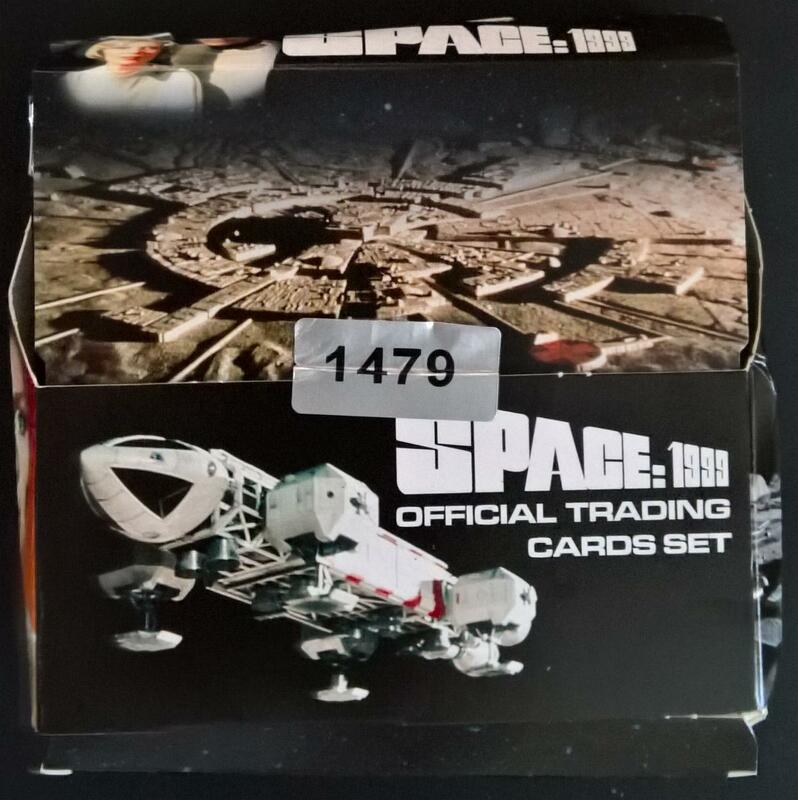 There were 5 random cards per pack, 24 packs per box (120 cards). 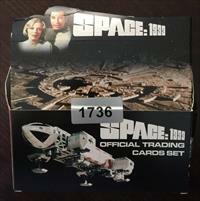 Boxes were also available by case (12 boxes, 1440 cards). When 3 or 6 cases were bought together, additional bonus cards were available. The boxes were limited to 1,999. 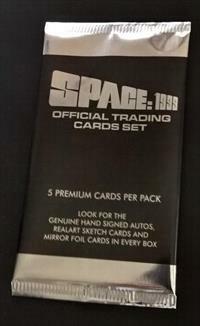 Most boxes contained 4-6 foil cards plus 2 or 3 "insert" cards, where 2 would be either autographs or an autograph plus printer plate card and the third, if inserted, would be a sketch card. Some autograph cards and sketch cards were held back from the initial release, to be issued in special events. 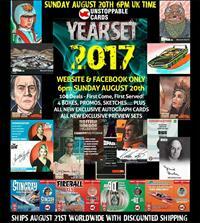 For instance, the Jeff Abar sketch cards were held back for the December 2016 "Christmas Mystery Packs" event, and the "Yearset 2017" in August 2017, which also released the NT5 Nick Tate autograph card. 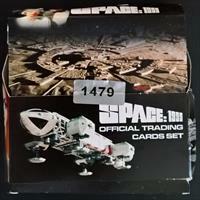 The unopened box, about 14cm x 14cm x 4cm. 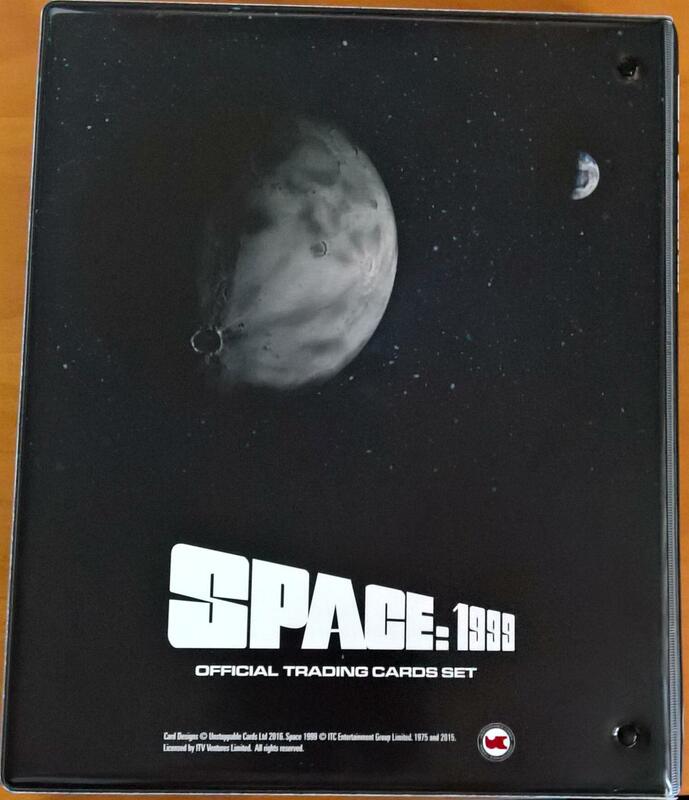 The top flap (showing the Moonbase and Landau/Bain) folds back to make a point-of-sale display. "Unstoppable Cards guarantees that each box contains at least one complete basic set of collector cards #1-54." 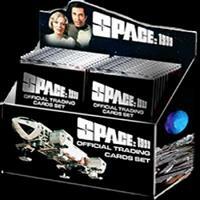 In fact they don't- my box did not have a complete set. 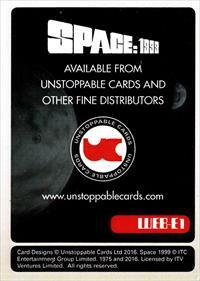 The individual foil wrappers, 6.5cm x 12cm, each containing 5 cards. A 3-ring binder was released, 26cm x 32cm, limited to 199. It has a vinyl glossy printed cover. There are no card holders inside- these must be purchased separately. 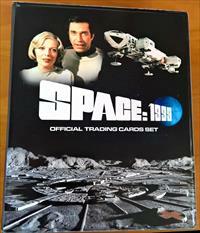 There is an exclusive Christopher Penfold autograph card when buying the folder. 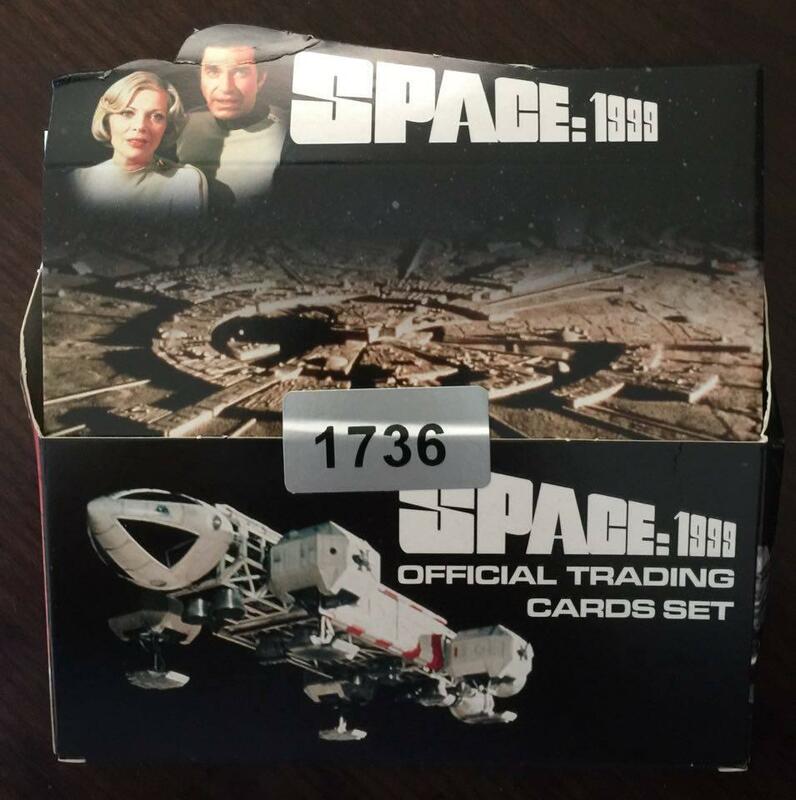 Exclusive to web sales, there two cards, WEB-E1 and WEB-E2, were sold with boxes (in a separate card envelope, also with promotional UFO and British Horror cards).